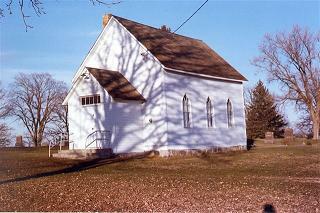 Organized in 1877, the church was built on land donated by John Pippo. The first board members were Petter E. Julin, John Lehto and Herman Jacobson. Over the years membership has declined, but services are held in the spring and fall. Present day board members are: Chairman, Claire Kangas; Secretary, Gary Adamson; Treasurer, Clifford Haabala.